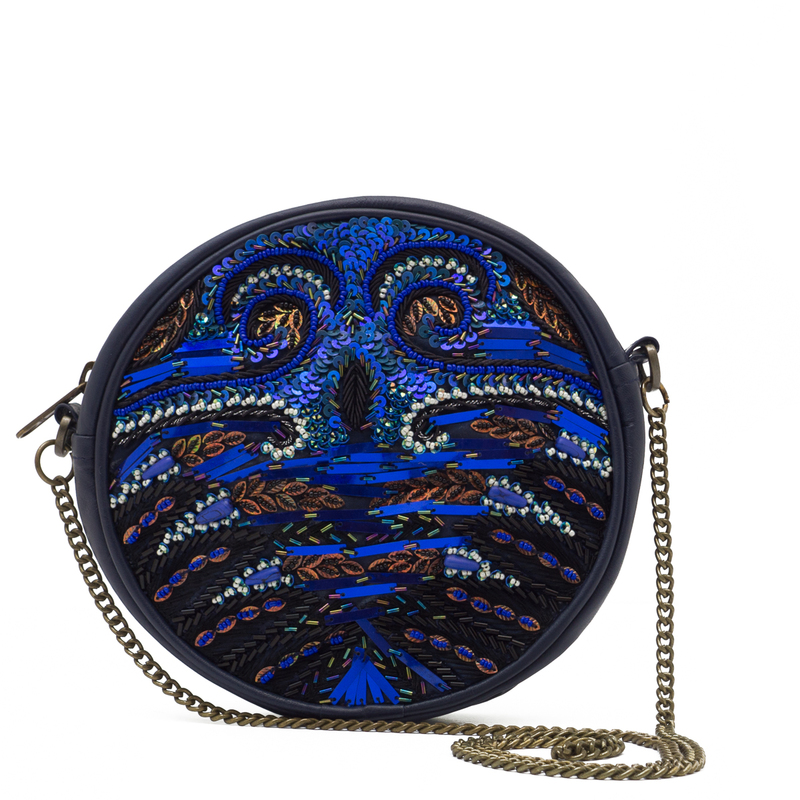 This round beaded and genuine leather shoulder bag is from WCM New York. Made of blue genuine leather with a handbeaded peacock feather design in blue, silver tone, and bronze color beads. Bronze tone chain shoulder strap measures approx 32".